In the language of psychology, the fear of the number 13 is called triskaidekaphobia, while friggatriskaidekaphobia and paraskevidekatriaphobia both mean fear of Friday the 13th. And this is a real fear. People suffering from this particular phobia are prone to panic attacks from mild to very severe ones. Sufferers often stay home and go to extremes in order to protect themselves from bad luck. In the West, it is a widespread type of phobia. According to one report in the National Geographic, more than 17 million Americans fear Friday the 13th. It's one bad omen that cannot be avoided because people follow a calendar and, statistically, it will happen that the 13th day of the month will land on a Friday at least once a year. In 2012, there are 3 Friday the 13ths: January 13, April 13 and July 13. Friday the 13th is said to be an unlucky day. A day when misfortunes and bad luck are expected. Culturally, only Westerners associate the number 13 and the combination of 13 and Friday with bad luck. Because in Eastern philosophy, the number associated with death and misfortune, is the number 4. The number 13 is unlucky for many cultures. There are a number of theories why this is so. First, looking at the number that comes before it, the number 12, this is a number that represents completeness in many cultures; it is a dozen, a whole. In the Gregorian calendar, there are 12 months in a year. On the face of a clock, there are 12 hours representing both AM and PM. The number of Greek gods residing in Mount Olympus is 12. The Jews believe there to have been 12 tribes of Israel. Christians know that Jesus Christ had 12 apostles. As a number, 13 is odd, irregular and incomplete. In the beginning, the ancient Egyptians saw the number 13 as a lucky number because it represented, in a sense, the afterlife, which was not something to be feared of. But, with the decline of this ancient civilization, as fear became more and more associated with death, the number 13 lost its place as a number of fortune. During the time of the Ancient Romans, when the gathering of witches was not unheard off, any group of 13 witches gathered together meant that the 13th witch was no ordinary witch. That witch was the devil himself. In Norse mythology, Loki, the God of Mischief, crashed the banquet of 12 Norse gods. Because Loki was not invited in the festivities, he was labeled the 13th guest. At some point in the Norse myth, this trickster of a god caused the death of the god of joy, Balder. The demise of Balder caused darkness and mourning over the lands. One theory about the unluckiness of number 13 is rooted in Christianity. During the Last Supper, there were 13 people on the table at the Cenacle: Jesus and his 12 apostles. Judas Iscariot, the betrayer of Christ, was tagged as the unlucky 13th guest. When it comes to Friday being unlucky, Christians believe that Friday is a day of sorrow because Jesus was crucified and died on Good Friday. The unluckiest day for many Christians is when Good Friday falls on the 13th of the month. The case of the Knights Templar also fueled the dread over Friday the 13th. King Philip IV of France issued the arrest warrant for this Christian military group on October 13, 1307, a Friday. The knights were tortured and most likely met their deaths after. In Brazil, when August 13 falls on a Friday, that day will be unluckier compared to the other Friday the 13ths in the year. This has something to do with the name of the month "Agosto" (which is Portuguese for August) rhyming with the word "degosto" (sorrow). Yes, it seems that Friday the 13th automatically equals bad luck for some cultures. But should one really expect bad things to happen when it is Friday the 13th? Or should one go against popular belief and make his own luck on this dreaded of days? Many superstitious people avoid travelling during Friday the 13th, whether it be by land, sea or air. Winston Churchill for example did not travel by road or air if it was Friday the 13th. The fact that it was on a Friday the 13th, specifically October 13, 1972, when Flight 571, an Uruguayan Air Force flight, crash-landed in the Andes Mountains between Chile and Argentina probably further fueled the fear of travelling on this day for some people. This was the particular disaster wherein the survivors of the plane crash eventually had to resort to cannibalism in order to survive long enough to be rescued. In the maritime industry, sailing on a Friday, especially on Friday the 13th, is avoided like a plague. There is a tale that has been going around for many years concerning the British government and an experiment they embarked on to debunk the myth that it is unlucky to sail on Friday the 13th. Much of the purported preparations that led to the eventual launch of the ship HMS Friday had something to do with the day of the week Friday. According to legend, HMS Friday and its crew were never seen again after it set sail for its maiden voyage. There is no truth to this well-spun story. But, this did not stop mariners from refusing to sail on Fridays. Superstitious businessmen avoid making deals, much less sign contracts during Friday the 13th. Why? Because some believe that business ventures will be doomed to fail. After all, a few stock market crashes happened on Friday the 13th. Product launches are also avoided on Friday the 13th by some businesses. Some manufacturers even avoid having the dreaded number on their product labels, ads, and more. There is no scientific basis to all these hullaballoo. But for some businessmen, it is not worth taking the risk of losing their investment. If you go up on an elevator, check if there is a 13th floor. Chances are you won't find one on the elevator panel. Many buildings do not have a designated 13th floor. After 12 the next floor is 14. In some hospitals, hotels, inns, cruise ships, offices, airports and other such places around the world, finding room 13 or gate 13 may be impossible. The people who build, own, or manage properties where the number 13 is nixed may not necessarily be superstitious. But they cater to clients or customers who are. Aeroflot Ilyushin 62 Flight crashed the same night as Flight 571 that went down in the Andes on October 13, 1972. Flight 62 was flying from Paris to Leningrad and Moscow. All 160 passengers died. Infamous American Rapper Tupac Shakur was shot on September 7, 1996. After 6 days, Shakur died. It was September 13, Friday. 71 people died on January 13, 1939 in Victoria, Australia as a result of a widespread bushfire. Category 4 Hurricane Charley created havoc in Southwest Florida on August 13, 2004. The Costa Concordia, a luxury cruise ship, tipped over somewhere along the coast of Tuscany, Italy on January 13, 2012. 16 people died and 64 were listed as injured. Fear or apprehension for Friday the 13th is fueled by Hollywood movies to this day. In 1980, Sean S. Cunningham directed a horror film that has become a cult classic. The movie was called "Friday the 13th." The story revolved around the character Jason Voorhees who hid behind a hockey-mask and used a machete in his killing sprees. 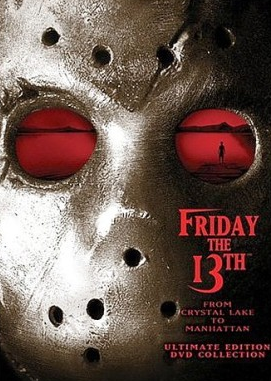 A number of "Friday the 13th" movies opened on Friday the 13th. To date, the movie has grown into a lucrative franchise (more movies, a television show, books and more) that made money in and out of the United States. The franchise has earned more than $380 million in the United States alone. Copies of the film have subtitles in Spanish, French and other languages. One of the taglines for this franchise is: "Fridays will never be the same again." One trivia related to the marketing of the movie in Spanish-speaking countries is that in those places the film took on the title "Tuesday the 13th" or "Martes 13." In certain Spanish-speaking, "Martes trece (13)" is the day of bad luck, not Friday the 13th. The Greeks also share this belief. In today's hi-tech and fast-paced world, superstitious beliefs may no longer hold sway over many people. However, there is really no reason to tempt fate on Friday the 13th. If following superstitions will not hurt you or anyone else, then do as the believers do. But at the same time, do not take things to the extreme. Otherwise, you may just develop either triskaidekaphobia or paraskevidekatriaphobia. That's not healthy for your personal or your professional life. So, next time it is Friday the 13th, say, "TGIF" or "Thank God It's Friday" then make your own good luck. Don't wait for the universe to make it for you. A day or a number becomes unlucky only if people make it so. I find it really amazing how much paranoia there is about Friday the 13th. It's even part of the reason my uncle got a philippine prudential life plan to begin with.